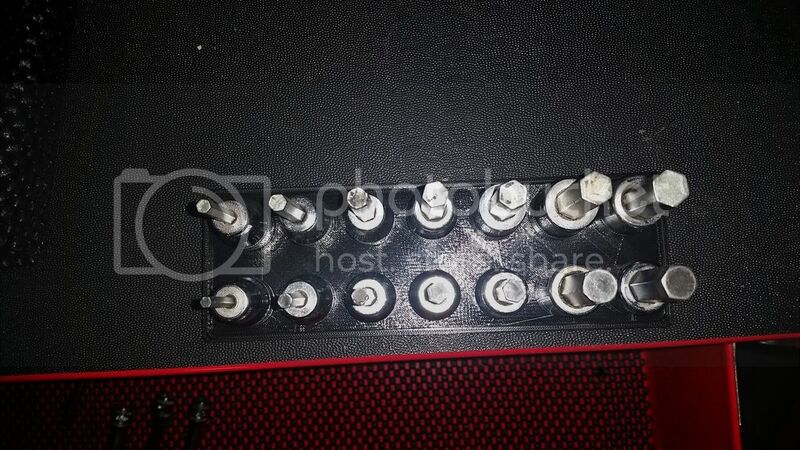 I printed a few socket organizers and tested them out.. they were bad. So I'm just going to make my own. This is for my 3/8" allen sockets. I'll test it and see if it needs any adjustments. Planning on modeling a bunch of other trays for all the sockets I've got.. and weird stuff like crows feet and wobblies. I have been disappointed with all of the commercially available socket holders for one reason of another, sometimes its the cost. For sure, i'd be happy to drop the files. The one I posted above is kind of custom. 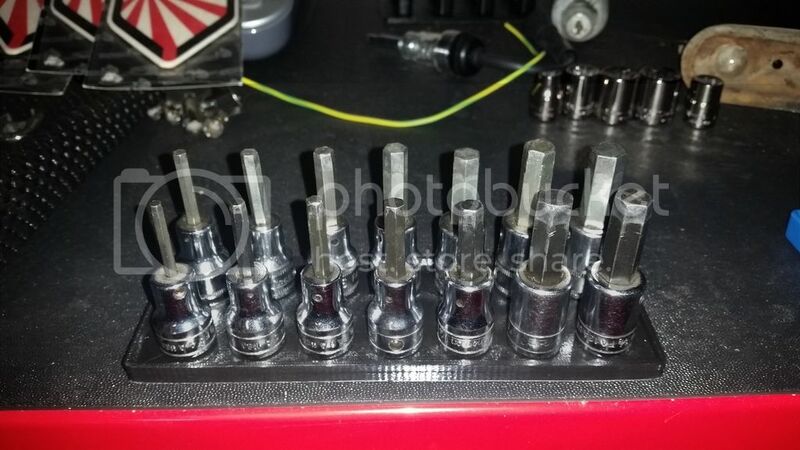 If you are doing a full socket tray you'd want variable spacing as the sizes get larger. 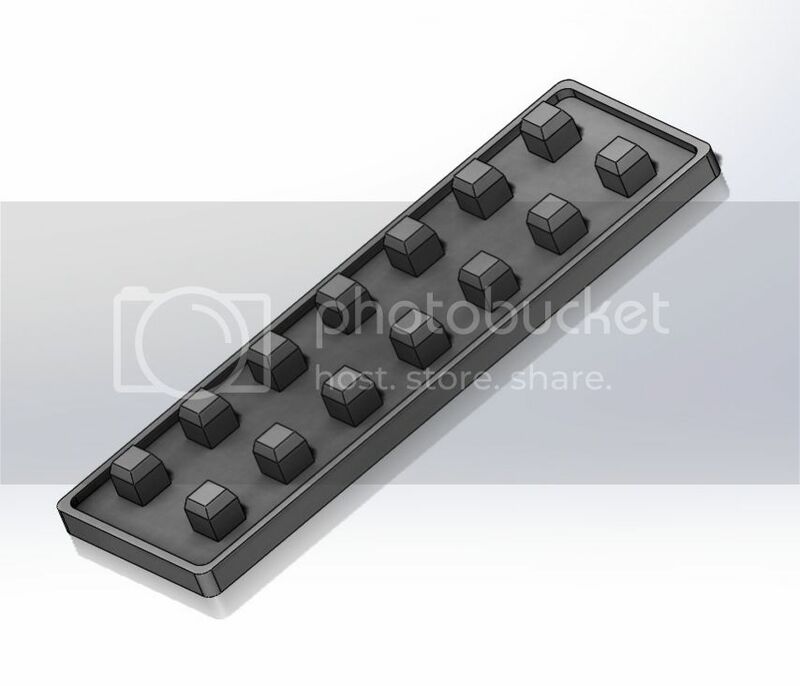 This tray is for 14 allen head sockets with equal spacing. 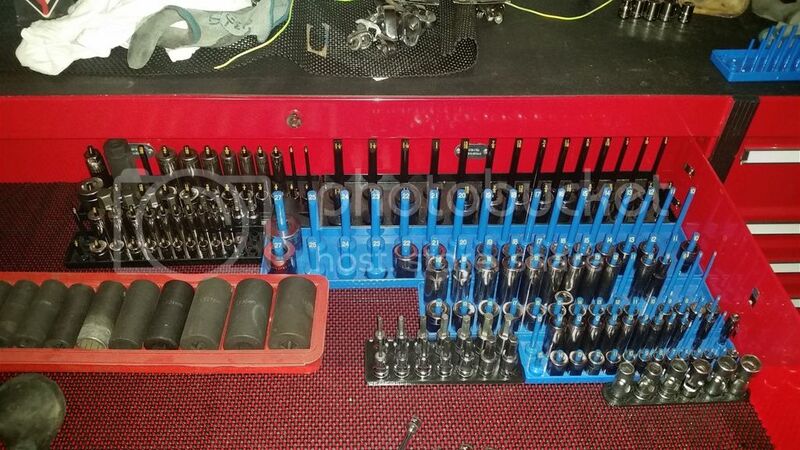 It's the same width as the Hansen 1/4 socket tray. I do plan on making full rails though, but they might have to be two piece and snap or bond together due to the length. We'll see. The two files I grabbed from thingiverse already, I wasn't happy with the design. One had the center peg offset from the outer circle. That made for poor fitment. The second as stamped with a dumb logo. I'll post more as I get them drawn up. This worked out very nice. Those don't look like Datsun parts.